For the one great love of your life! 14k white gold bezel set milgrain semi engagement set. Center stone sold separately. 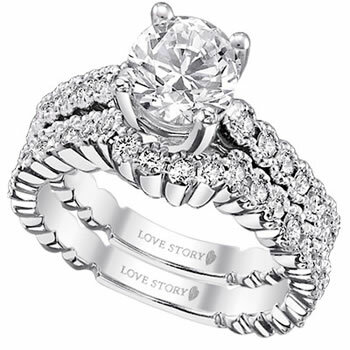 Includes the LoveStory™ Limited Lifetime Warranty.